LOVE leather wrist cuff handcrafted copper and leather bracelet custom made by Irish Leather Works! A handcrafted Irish Leather Works leather cuff bracelet. This cuff is made out of 10/12 oz. vegetable tanned leather dyed a medium brown, top-coated in Atom wax, then genuine copper rivets were installed around the cuff. 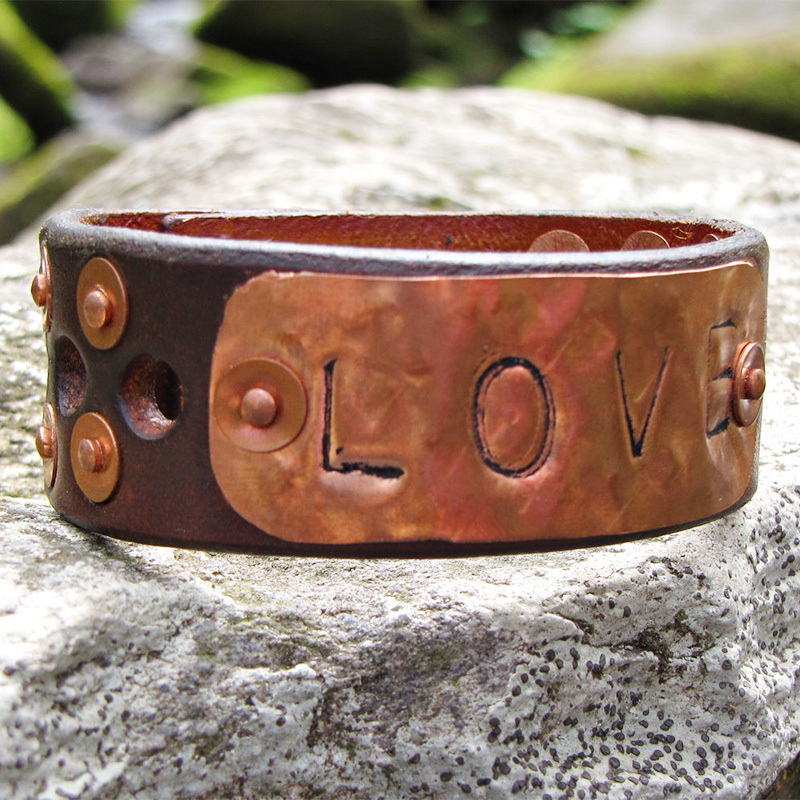 The center of the cuff features a hand hammered and stamped copper plate that reads “LOVE”. This was totally handcrafted in our shop. It features a snap closure and should fit most female wrists. Please send your wrist size so I can make sure if not, I can make one that will fit. ROCK THE SHAMROCK!!! Own an Irish Leather Works original!